I just happened to be driving by after having a late lunch or early diner on Westheimer and saw this impressive display of cars. 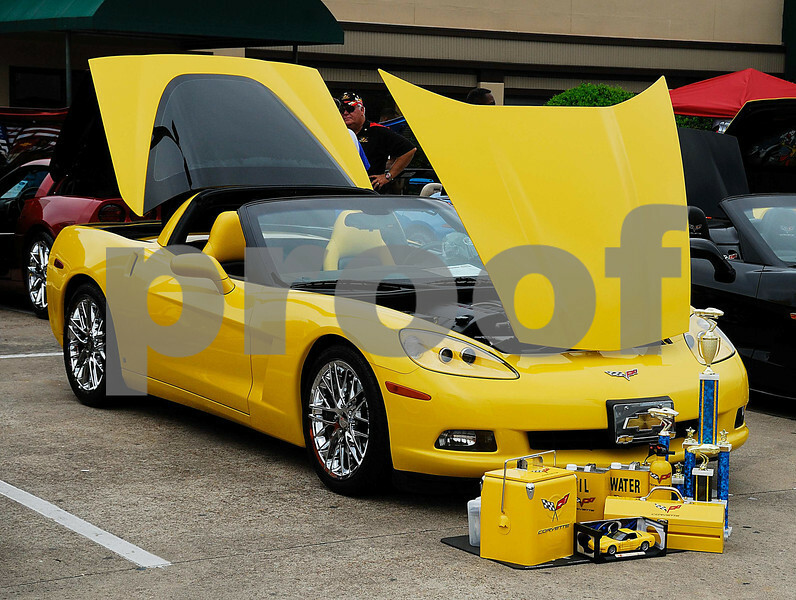 It was the 2010 National Afro-American Car Show for the Houston Chapter at Fox and Hound, Houston, TX. There were a lot of fine looking Corvettes in this show. I was impressed and decided to take some pictures. This is one moment when I wished I would taken a lot more pictures. I can't wait for 2011's show. Until then I'll check their schedule of events for other shows this year in the area.